As many as 300 firefighters under South Jakarta Fire and Rescue Sub-agency participate in a sports week which is divided into three branches.
" 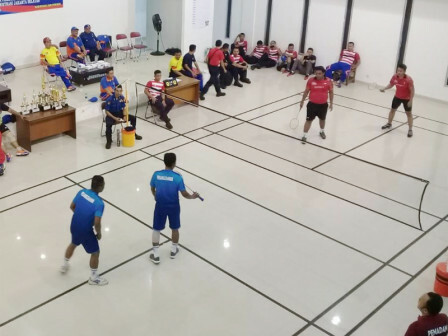 120 firefighters participate in futsal, 60 firefighters participate in badminton, and 120 firefighters participate in volley ball"
South Jakarta Fire and Rescue Sub-agency Head, Irwan said that it is a qualifying round to find the winner to compete in the Korpri Trophy at city level. The competed sports are futsal, badminton, and volley ball. "120 firefighters participate in futsal, 60 firefighters participate in badminton, and 120 firefighters participate in volley ball," he expressed, Tuesday (4/2). The winner will qualify for the next round to compete a winner team from regional working unit (SKPD/UKPD) for Korpri Trophy. It is hoped able to strengthen solidarity and solidity between employees.